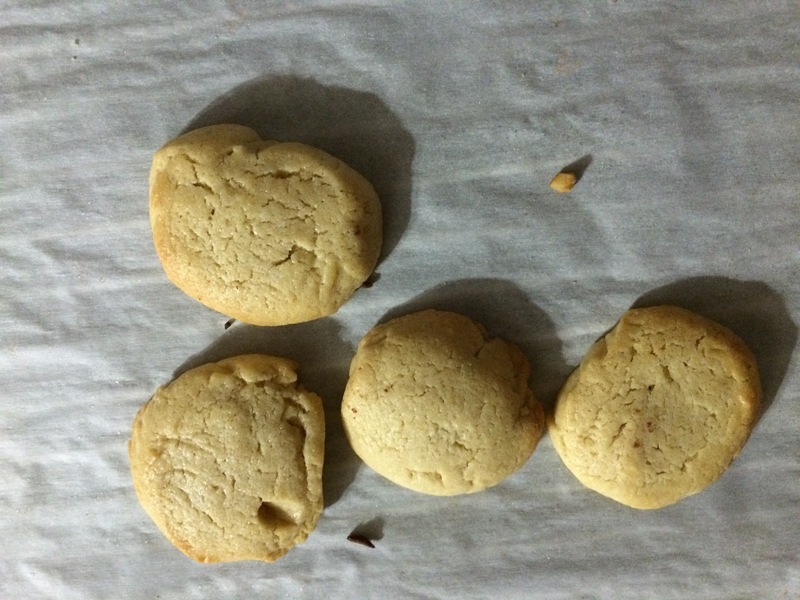 This is my basic cookies recipe. I like to make the dough in advance, and then I bake the cookies when I have time later. Variations: 4 oz unsweetened chocolate, melted. mix eggs, sugar(s), oil, liquid and vanilla. Add flour and baking power and pulse until just blended. I use plastic wrap to shape dough into 2 logs which I then wrap in parchment paper and foil and store in freezer until ready to use. If desired, roll dough in nuts, sprinkles, sugar and cinnamon/cocoa. Slice cookies about 1/8 inch thick. Bake cookies in 375*F oven on cookie sheet lined with parchment paper until lightly golden brown. 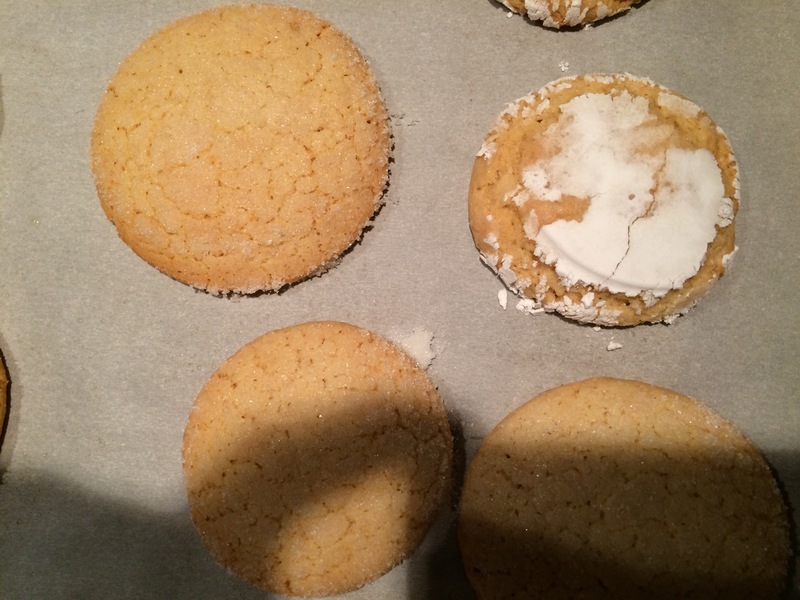 I used double insulated cookie sheets to prevent burning. 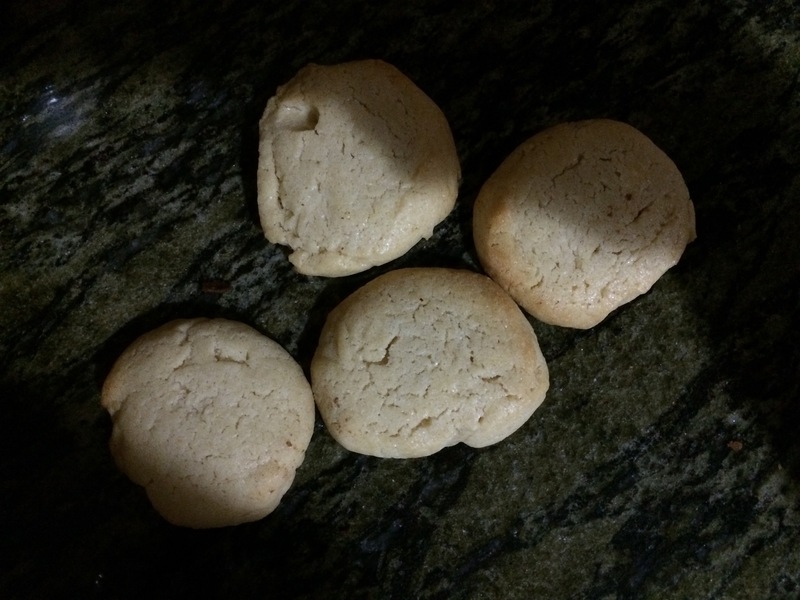 With this batch I either flattened the dough with a glass that I oiled and then dipped in sugar or used icing sugar. Forgive the shadow. Icing sugar added. I love this! Promises to be yummy but no fuss!